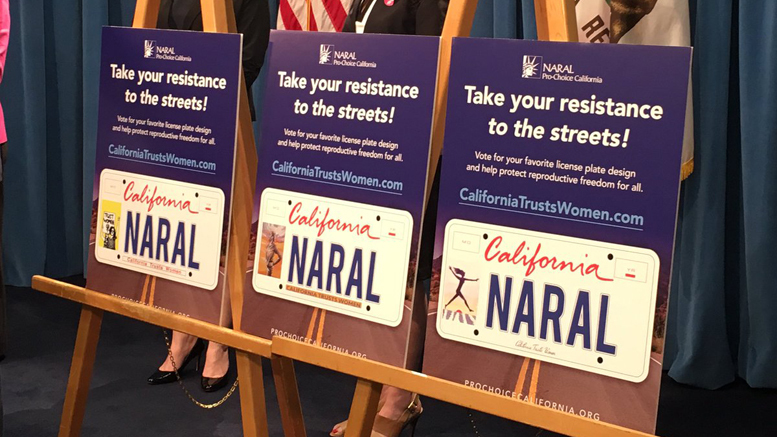 A California state legislator has filed a bill to create a new pro-choice license plate. State Senator Hannah-Beth Jackson says the bill is a response to the recent pro-life executive orders signed by President Donald Trump and other “attacks on women’s rights” by the federal government. “SB 309 will provide a way for Californians who are deeply troubled by the federal attack on women’s rights and health care to take their values ‘to the street’ while providing a vital funding mechanism for California’s network of reproductive health care providers,” Jackson said. 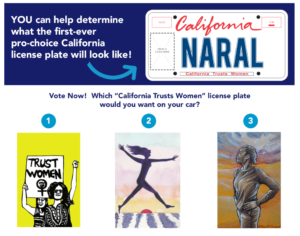 The proposed license plate design includes the words “California Trusts Women” and artwork commissioned by Senator Jackson’s office. Jackson is holding an online contest this month for supporters to vote on which piece of artwork will appear on the plates. The pro-choice license plates will cost $50 for the first year and $40 annually. A portion of the proceeds from the sales of the plates will go to the California Family Planning, Access, Care, and Treatment Program. While this program does not directly provide abortions, it does provide funding for abortions and contraceptives through organizations such as Planned Parenthood and NARAL. Pro-life groups in California are calling on state legislators to reject the bill. “We know that calling this reproductive is, in fact, a code word for human abortion and there’s nothing reproductive in the act of human abortion,” said Brian Johnston, a representative of the California Pro-Life Council. Even within the pro-choice community, the bill is not without opponents. Amanda Delfin, a resident of Sacramento, believes creating the plates is a step too far. “I think that’s going to open up a whole Pandora’s box and if you open that up people are going to be politically motivated to spew other things and I don’t think that’s correct. I’m all for Planned Parenthood, but I don’t think you should open up that door,” said Delfin. California currently has 14 different specialty plates available, but the proposed pro-choice plates would be the first with a politically charged message. SB 309 is currently awaiting review in the California Senate Appropriations Committee.